I’m off on holiday before the EU referendum – but here’s my take on why to vote Remain in ten provocations. A longer, more analytical view here. Answering the right question. The question is not “do I like or dislike the EU?”. It is “should UK leave or remain in the EU?”. The actual question requires us to consider the alternative and if choosing it would make life better or worse for ourselves and others. I strongly believe life would be worse in terms of economy, politics, security, culture and democracy – and the last few weeks of debate have only strengthened that view. The logic of “I dislike the EU so I think we should leave” is superficially appealing but dangerously naïve. Leaving means abandoning things that are highly beneficial to the UK, with no real idea of what will replace them and a high likelihood that the alternatives will be much worse. Economy. There is near universal agreement among economists that there would be a serious economic penalty driven by a loss of confidence, trade barriers, reduced inward investment and uncertainty lasting many years (for example see the views of 12 Nobel Prize winners and the Institute of Fiscal Studies and economic institutions like the Bank of England and IMF). The debate is about the severity and persistence of economic harm, not whether Brexit will be harmful. Any savings in payments into the EU budget would be small and be offset by losses in tax revenue and unemployment costs due to economic damage, combined with continuing payments to those who already receive them from the EU, such as farmers, scientists and deprived areas, and (probably) some continuing payments to the EU for access to the single market and participation in programmes. Governance. Leave will not mean “taking back our country” but placing ourselves in weakened power and trading relationships with the EU itself and other major trading blocks, while weakening the EU too. No wonder the Kremlin likes the idea. We are not ‘ruled from Brussels’ or controlled by foreigners – this is rhetorical garbage that fails on first contact with reality. On some issues, we participate in joint decision-making with other member states to get things we jointly want – like a single market or a pan-European system of environmental protection – and often we get things we, the UK, really wants from this co-operation. It is far from perfect, but we should stay and improve it. Foreign relations. “In is in. Out is out” said Wolfgang Schäuble, Germany’s Finance Minister. European leaders are wise enough not to threaten British voters too overtly during a referendum, but that doesn’t mean there is no threat. We really can’t count on the other member states to make our life easy following a leave decision – they have strong incentives to do the opposite, to make it painful or humiliating pour encourager les autres. So all those assuming that we’ll be effortlessly admitted to the EEA or that the interests of Mercedes and BMW will prevail shouldn’t be so confident. The member states don’t have to agree to anything and all 27 have to agree to something other than nothing. They can let the clock run down for two years and we default to trading with the EU on WTO terms. We’d also lose all the EU’s trade agreements with third parties and revert to adverse trading relations with them too. The President of the United States has stated his concerns and given a blunt message on trade relations, former US National Security Advisers are advising against leaving, while former NATO Secretaries General urge solidarity not fragmentation: At a time of global instability, Britain needs to stand united with its EU allies. Business. Can anyone explain how Leave helps businesses, and by extension employment? The Confederation of British Industry is clear that it won’t. Many of the largest employers in Britain either trade extensively with the EU or are part of industry supply chains that are organised at EU level – businesses like Toyota, Rolls Royce, Airbus or the major players in the financial and business services sector. How does it help them to have a lengthy period of uncertainty, trade barriers with the rest of the EU and barriers to moving skilled staff around? How are smaller businesses helped by losing the government’s voice in determining EU regulation that is likely to apply to them? A vote for Leave is a vote for someone else to lose their job – a burden that is more likely to fall hardest on the disadvantaged parts of Britain. I liked this article by Richard Branson on his business-focused view of the case to remain: If you vote Leave, you won’t kick the establishment in the b***s… you’ll shoot yourself in the foot. Migration. However you look at migration, leaving the EU won’t help. I’m in the camp that thinks that we benefit tremendously from intra-EU migration and that young hard-working Europeans coming to Britain has given us a terrific economic and cultural edge. Migrants create new economic activity, add to overall productivity, pay taxes and spend money – creating other jobs. They contribute to public services, underpin the NHS and reduce the dependency ratio in the UK. Migration is not without its problems but these can be addressed rather than used as a reason to close it down. It’s nonsense to say we do not control our borders (I’ve just come from a UK Border Agency queue at Heathrow) and co-operation with EU partners is the best way to track and control the movement of dangerous people or criminals. For those who don’t like migration, please bear in mind that our most likely post-Brexit situation is an arrangement with the EU that maintains free movement of people (i.e. in EFTA/EEA). But even if we refuse to agree to the free movement of people within the EU, think of the reciprocal consequences for the UK citizens currently living overseas and for UK citizens who may want to work, study or retire elsewhere in Europe in the future. Our responsibilities to refugees or asylum seekers are humanitarian and governed by international conventions, though there would be more dignity in the European Union taking a collective and equitable approach to its member states’ responsibilities. Reform. It is often said that the European Union is beyond reform. This is untrue, both looking backwards at past reform and looking ahead to what is possible. There is a lot the UK could do acting unilaterally – just by abandoning the sloppy business of deal-making, and instead being really rigorous about applying the main principles governing policy-making in the European Union. It should encourage others to do the same and be willing to test these principles in court. I call this a ‘policy of non-capitulation in Europe’ and if we took this seriously we would have an EU that does what it should be best at – free trade with a high regard for the wider public good, not just a race to the bottom. But a bolder reform agenda is also achievable – it just needs determination and guile. The UK public is not alone in its concerns that the EU is a remote, aloof and elitist project that is disconnected from its citizens. There is scope for a coalition of North Europeans – Netherlands, Sweden, Germany, Denmark, the Baltic states – to press a reform agenda. But that needs UK leadership, not a retreat. I don’t believe the ‘ever-closer-union’ idea is workable. The future is ‘variable geometry’, just as it is now. We aren’t in the Eurozone or Schengen visa area, and we have opt-outs from aspects of security, justice and human rights policy. This diagram from The Economist shows it nicely. The greater good. It doesn’t have many defenders and kicking Brussels is fashionable, but I’m going to say it: overall, the EU is a force for good in Europe and in the world, even if incredibly infuriating at times. Given Europe’s blood-soaked history, we should never take peace and prosperity as a given, and I believe the EU does much to underpin it in Europe. The incorporation of the Central and Eastern Europe states is one of the great political achievements of the present era and I hope it extends to the Balkans and further east and south. The single market has boosted prosperity and brought us closer politically. The free movement of people brings more than just labour market benefits, it brings tolerance and understanding. Through its diplomacy and political engagement, the European Union and its member states promote liberal values, democracy and human rights throughout the world – and do this effectively by acting together. The referendum vote is far more important than any general election and I hope people will take it seriously because jobs, prosperity, democracy and freedoms are on the line. It will not be reversible for many years, if ever. It’s a decision about a long-term adjustment to UK’s position in the world, and that needs the most careful attention and sobriety. Please do read through the arguments before voting: The Economist has the best collection of reality-based accessible material in its series of Brexit Briefs, closely followed by the Financial Times Brexit Hub. The best newspaper editorial I’ve seen is The Times: Remaking Europe – a serious assessment of the good and the bad with a sceptical take on the claims of advocates on both sides, combined with a passionate case for the UK to lead a movement of pragmatists for reform. Also, please watch a great lecture by a legal and constitutional expert, Professor Michael Dougan, on the EU discussing sovereignty, power, trade agreements etc. Terrific clarity. I don’t want to dwell on the opportunists and political hucksters leading the push for Brexit – but for a better, more acerbic, account than I could ever do, please see Nick Cohen’s searing critique of the wannabes behind Leave: Take your country back from those who seek to destroy it. Seu blog é admirável! Eu encontrei seu site por acaso e estou adorando o site . Clive Hi two years on it sure looks like you were, unfortunately, on the money re Brexit. Where-how do you think it will go, now? It’s mired in confusion, incompetence and infantile politics – so I don’t know. I think we will get to a withdrawal agreement but that just defers the crunch to 1 Jan 2021 and presents all the same intractable problems or trade-offs our ministers and Leave supporters have been incapable of making. sitе, and pߋst is truly fruitful fօr me, keep uρ posting sսch content. Not so sure. Who are the main trading partners of the UK? Certainly not the EU. The EU is building trade barriers around its borders, to protect its internal markets. Ah, but, Clive…… if the TPD had been made in the UK, it could quickly be UN-made by the government, if it so wished. I think both sides of the Referendum campaign have been absolutely dreadful.I have been trying to make up my mind. My gut says Leave!, but my Head (fed with arguments such as yours, above) says mmmm…..maybe stay? Useful reading the responses on this site – some interesting and important facts here. The lack of public knowledge of future planned EU legislation is an interesting point that I had not considered til now. I find the lack of accountability of the EU the strongest argument to leave, and the loss of influence over where the EU goes in future the strongest argument to stay. But, as of right now, my gut is shouting Leave at me, and drowning out the whispers from my Head. It could still change. This is a REALLY BIG and REALLY DIFFICULT decision! Many years ago my wife and I were warned by a government advisor that if “that awful scheme” was implemented by government, then no matter how bad, or simply a useless waste of money that it turns out to be; it will be virtually impossible to end the ‘bloody thing’. From the perspective of 12+ years on, that person was correct. Clive is correct about ,at least one thing; leaving the EU will not prevent the ‘eternal problems’ of government from continuing to happen in the UK. I agree with this too. I’m not defending the TPD: it is bad legislation badly made at the wrong level and too early. But neither is it the right or complete way to understand the EU, or to gauge what leaving would mean. My concern is dislocation in trading relationships for £240 billion UK exports and about the same imports, combined with damage to trade with third countries and democratic and political losses in the compromises we need to make to limit the economic damage. It was the member states, notably the UK, that pushed this along. The UK was unresponsive to vapers and the minister wrote to MEPs to persuade them not to support the amendment striking out medicine regulation. It was the public health community who supported it, and still does – and WHO which exaggerated the threat and ignored the opportunity. If we had been in Norway’s position (or similar) it would have happened to us anyway, and we’d not even have had a seat a the table (which we wasted anyway). If we are outside the EU UK will play no role in fixing it and, now that it has broadly accepted the harm reduction case, be unable to exert any influence on how the directive progresses from here. Even if we left completely and did not have single market access, the UK would be in such a legislative mess, it’s unlikely they make this a priority. The TPD is a mess, but I don’t really think the UK can escape responsibility for it. To some extent, the EU institutions reflected the influences around them – notably public health and medical organisations who carried more prestige (but much less knowledge and legitimacy) than vapers. So it is part of a wider dysfunction. But remember, the UK government agreed to it all, pushed it hard, ignored vapers and wanted things that were worse than what we got. It mostly got what it wanted and didn’t represent vapers’ interests – you can’t blame the EU for that. The European Parliament stopped the UK getting its preferred policy – medical regulation. I don’t blame just the EU – far from it as I vividly recall Hunt’s public letter to MEPS. However, can you tell me how I can show my displeasure of the TPD or the EU as a entity at the voting booth for its failings? Labour in 2005 promised an EU referendum in their manifesto. They didn’t fulfill their promise and Gordon Brown signed the Lisbon Treaty. Five years later voters were given the opportunity to cast a vote for or against the Labour party and/or Gordon Brown. Labour lost close to 100 seats. Now if the TPD had been a UK Government legislation outside of the EU I would have the opportunity to vote against the people/party that brought in that legislation. The EU is simply unaccountable for its actions. The EU can be used to bypass National democracy far too easily. In the UK a change of Government can if they wish change previous legislation. An EU Directive will last for 10 years+. How is that democracy, when only the EU Commission have any control over existing EU legislation? How can you also accept private Trilogue meetings as being democratic, when as we all know the devil is always in the detail? I can understand your fears and concerns over the future but the fact that Article 20 can happen and that snus is still banned within the EU simply demonstrates all that is wrong with the EU. Without accountability the EU doesn’t care what harm it does as its like having the ability to break the law with impunity. Everyone and all of us should be accountable for our actions. How is the EU as an organisation/entity accountable to the people for anything? It rules without accountability. The UK Government with its TPD support is accountable, but that’s only because the people are able to vote to change them at the ballot box. That said if you blamed any UK Government for previous EU law their response and argument then becomes “I’m afraid that had nothing to do with us as it was determined by the EU” It’s like going around in circles and that’s how they want it to be. 1. There is a great deal at stake for the economy and much else that the EU is positive about – the decision has to be bigger than vape tech policy. 3. Our useless government could have made an effort to remove the (now) Article 20 from the Directive and trilogue, but didn’t. It was doing the bulldozing along with other member states. It wasn’t forced on UK govt by EU – so your complaint is with UK ministers and officials in the first instance. 4. It was dealt with in trilogue because meds regs had been overturned by the European Parliament, thus thwarting UK policy at the time. yes, you are completely correct the TPD as it relates to EC was egged on by the UK Government largely out of ignorance I believe. I also don’t doubt that the UK to a certain extent also benefits from the EU’s protectionist cartel mentality by virtue of protecting its larger UK businesses. However in today’s global economic environment one has to question if the UK economically would now be better looking outwards towards a wider global audience than being content to remaining in the EU to benefit a few of the older established UK and EU industries? Looking at the EU’s percentage of global GDP the harsh reality is that the EU’s pie is indeed getting smaller. One of your GFN16 slides explains that insofar as vaping is concerned that the market was working, so why the need for EU regulation/protectionism? Doing nothing would be preferable. The EU as an entity is that protectionism personified and as we have all seen with vaping, growth and massive consumer benefits are reaped without a regulatory and protectionist environment. UK trade growth and consumer benefits can be equally reaped outside of the EU by adopting a newer free trade mentality outside and hopefully also within the EU. What all economists do agree on is that free trade is always more economically beneficial than any barriers to trade. What is also often forgotten is that the people paying for EU regulations/protectionism ultimately are the EU consumers themselves. Its a tough one, realistically i cant make an educated decision, its far too complex for the laymen. Saying that, im leaning towards remain. Well, I have to agree there. Intuitively I feel Boris was carefully “placed” as Brexit spokesman by “the Government”. A fake figurehead so to speak. And I feel Corbyn is mouthing Remain whilst his heart says Leave. There are “plants” left right and centre in this drama. And Leave are guessing as much as Remain. Twististics abound! The only person who one can guarantee IS genuine because he has never changed, is poor old Nigel Farage, the whipping boy for everyone’s vindictiveness and the cause majeure of the whole referendum. Strangely, for all his faults, he comes across purer in this campaign, than anyone else. I think Farage has more integrity than Boris because he is what he appears to be. Boris is doing what he thinks will help him advance his efforts to topple Cameron and become PM. I think Germany has more sovereignty or influence over EU Legislation or the power to block or veto. In addition, they have written constitution – can EU Law override this? Other than this I don’t think they get much more from the EU than us, but have more Democratic influence? Germans seem to be more pro-EU, but there again their culture seems more conformist. Referendum voters only have one of two options – to keep the status quo or leave the latter being the more radical option that will cause change. If voters are not content with the status quo then they may vote for a change! I think this is some to the basic psychology behind voting behaviour for this referendum. The change may not be what they want though! The problem is most people are in the ‘leave’ or ‘remain’ camp and would vote accordingly no matter what facts came to bare and would exhibit ‘confirmation bias’. I am trying to analysis all angles (although don’t have time), so am in neither camp – I could vote either way based purely on the facts I can obtain. As has been said ‘information is the currency of Democracy’ – on this level the EU falls down – most do not know enough to vote either way. Many perceive the EU as a Federal Super State or Benign Dictatorship. The add-age should perhaps be ‘bare facts are the currency of Democracy’ and these certainly are not easily accessible. A good example of this ‘camp’ behaviour problem is the Labour party not supporting the motion to block the revised TPD due to their pro EU stance (apparently). I will give your work a good read and come to my final decision! I believe in the EU in principle (and have always been pro in the past) but this is a far cry from the actual institution in practice. I am trying to simply analysis the fact and not see people who vote for leaving as ‘bad’ people and those to remain ‘good’. With regard to the TPD, Article 20 and not supporting Lord Callanan’s motion to the House of Lords, the Labour Party has acted very lamely. I cannot stand it when people just follow the herb mindlessly. Matters will probably not improve (probably get worse at least initially) with ‘Brexit’ but reforms need to be made. Our politicians seem to lame to do this though. How many hard facts are there in this film? this is a very useful analysis prior to the referendum. The aspect that baffles me is why both sides of the camp are so certain of their position? Both cannot be correct with that level of conviction? In addition, we have less power to block unwanted regulations / laws than most other Member States as we have so few votes as we joined late. Also, we have a different Legal system to the rest of Europe (.e.g common law and don’t have a written constitution). Accordingly, the problem is the EU machine including the legislator does not work well for the UK. It works much better for Germany and France, for example. Your mention of the different legal systems is a valid and pertinent one. The UK adopts an innocent until proven guilty system enshrined under UK common law. 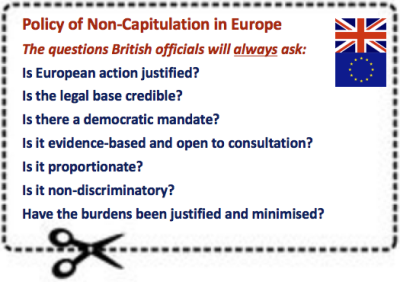 Take a look/search for the EU proposals to adopt the “corpus juris” system? What I personally find worrying is that not once has the remain camp been able to demonstrate a road map of what the EU may well look like in 10-20 years. Whilst the “better off, stronger in & safer” rhetoric sounds good I’m far more interested in the nitty gritty of actual detail and not just sound bites from politicians. If they actually don’t know then why not just admit that? As we all know the devil is in the detail and what with TTIP, Turkey joining, corpus juris, actual EU funding requirements, and a plethora of other EU uncertainties I’m worried. The fact is that there is as much uncertainty regarding the remain stance as there is the leave stance. As a businessman I appreciate and understand the need and desire to being able to make decisions as and when required for my business benefit. It’s all well and good stating that we have more influence if we stay in, but the fact that 1) the UK parliament isn’t given the democratic opportunity to debate/vote on any EU Commission proposal and 2) The UK has objected 72 times to EU commission proposals over the past 20 years and been defeated every time so I fail to see or understand where the UK democracy or influence exists? We could have 2 changes in UK Government in 10 years, yet an EU Commission Directive that the UK actually opposes could be in our statute book for at least 10 years and we have no way to change/alter or even vote out the Commission that proposed it. Can the UK be more prosperous outside the EU than in it over the next 20 years? I believe so and if prosperity is linked to trade then all the evidence points to the world market being where the growth will be, not necessarily the EU. And if anyone really believes that the EU won’t trade with the UK after we leave purely out of spite then they simply don’t understand the realities of business and trade and economics. Germany relies on the fact that 25% of its cars come to the UK. They would be the ones knocking on the UK’s door wanting a trade deal. Interesting. Yes, being a member of the EU works better for some countries than others. If I were German, for example, I would have no hesitation in remaining in. What good things do you think Germany gets that we don’t – and how would this change if we left? This is a disgusting thing to say about people with whom you don’t agree. And the article you link to is an example of the bad mouthing the Remain Campaign have used since the Prime Minister – the PRIME MINISTER! called a whole group of voters “fruitcakes”. Which amusingly is exactly what HE is saying about Brexiteers! I think your Pot is calling the Kettle black! Fair point, I was actually referring to Boris and co, who I really dislike and think are dishonest, not everyone who disagrees with me about Brexit. The problem that the EU Referendum has created is that everyone is looking for future certainty backed up by facts, but very few people have actually taken the time to identify and evaluate any facts and then make their own decision and not be swayed by the ramblings and pre-determined opinions of others. This blog sadly is no different. 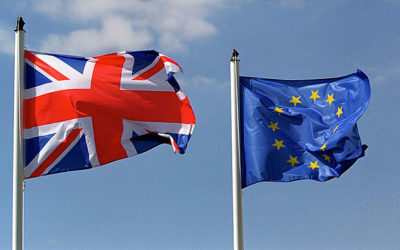 In answering he key question as you describe “Should UK leave or remain in the EU” one crucially has to also consider not only the risks to the UK in leaving what the EU already is now and has become, but also the risks attached to remaining in what the EU may become in the future, both politically, democratically and above all economically. I’ve asked repeatedly to be informed what further EU legislation is planned for the next 5 years. No one will inform me. How can anyone in the UK realistically make a future decision when the EU refuses to inform EU citizens of it’s future secret plans? All this talk about the leave camp explaining and demonstrating what the UK may look like if we leave fails to also answer the question what will the EU look like if we remain? Democratically, it’s abundantly clear that by staying in the EU we have absolutely no idea or control with what the EU will propose and legislate in the future. How can you also logically justify economically that in the future that the UK is better off remaining when the EU’s GDP as a percentage of global GDP has reduced from 36% to now 17% since we joined? FACT! The EU isn’t growing economically. FACT! It’s a protectionist trading block that seeks to benefit a few. Open your eyes and look at Greece, Italy, Portugal and Spain and tell me honestly that the EU has been great for their citizens. They can’t even take the economic measures needed for their own citizens economic benefit, as to do so would compromise the EU and in particular Germany. How can an EU total unemployment rate of 10% with youth unemployment reaching nearly 50% in some countries be seen as economically positive? The EU is desperate for other low value GDP countries to join in order for short term euro growth to be achieved – that’s simply not sustainable in the future. What started off as the illusion of a free trade area has morphed over 50 years into a protectionist insular organisation that protects a few prominent countries to the detriment of the majority. Economically just 9% of the UK’s total GDP relates to EU exports. Only 6% of UK firms actually export to the EU. So 94% of UK firms gain absolutely no economic advantage of being in the EU – fact!. 91% of the UK’s GDP has no bearing whatsoever on the UK remaining in the EU – fact! You talk about the UK’s influence in the EU. Why haven’t you mentioned the fact that the UK has objected 72 times to EU Commission proposals over the past 20 years and been overruled every single time? As for the Treaties we are ruled by these and I suspect that no one has ever read them. But you can’t blame anyone as EU bureaucracy is designed to confuse and baffle. The EU’s acquis communautaire was over 714,000 pages long in 2013 when printing of the Official Journal of the European Union stopped. Stacked, this would be the same height as Nelson’s column, weighing as much as a small whale or rhinoceros. Printed on A4, the acquis would run on the M1 from London to further north than Nottingham, a distance of 131.9 miles. The number of words in the acquis is over 310 million, which would take the world’s fastest reader 358 days to read without a break. The acquis in force would be taller than two Routemaster buses when stacked, would be longer than the length of a marathon when printed on A4, and would take the world’s fastest reader 84 days to read without a break. The EU isn’t about free trade, but simply control. Trade agreements themselves don’t create free trade as for real free trade you don’t need any rules and regulations. You just allow firms, individuals and countries to get on with it. People buy products if they are good products, competitively priced and attractive. Look at the vaping growth over the past 3 years with total EU free trade. It’s blossomed unencumbered by regulations and rules. The same applies to everything. The EU is a barrier to trade and growth and the GDP facts back this up. You talk about immigration and I agree that it’s beneficial, but do you really believe that unlimited uncontrolled EU immigration is what the UK people want? Would you seriously consider having a party without planning for that party in terms of knowing how many were invited, so that you could ensure that sufficient food and drink were available? Do you truly understand the supply and demand economic rules that mean that the unlimited supply of labour from the EU serves to benefit big business by virtue of lowering wage costs? Above all Clive what I find strange is how you of all people can promote the EU with its failings especially its protection of big business interests to the detriment of its citizens e.g. snus and vaping – FACT. You’ve experienced at first hand just how corrupt this political union is (ignoring scientific evidence, deals behind closed doors etc) yet you still prefer this to the certainty of the UK and its citizens regaining democratic control. Why also haven’t you included any links to the numerous individuals, articles and newspapers that argue against your opinion and want the UK citizens to vote leave? Perhaps you agree with the EU’s assumption and belief that the population is too stupid to be put in a position to make decisions and should therefore be denied any opportunity to exert control over its destiny with democracy? I prefer not to place my faith in the EU as an organisation, based on its track record of 50 years, but place my faith in UK democracy which has stood the test of time for over 1000 years. I pray and hope others think likewise. First of all, any multilateral arrangement is going to be awkward, but I think it is worth it in this case. There isn’t a perfect way to share sovereignty and it should be done sparingly, and the volume of legislation is right down now. We may not always get our way, but we often get our way when others would exercise a veto if they could. The vast majority of regulation is done by consensus, and changed to meet everyone’s needs. . The point is that the is very little that the government now finds worth undoing. I keep making the point that in the most likely version of Brexit (the one least economically damaging) that we will have to comply with EU regulation anyway, but we won’t even be in the room to influence or even to make a case or to suggest compromises (this is the Norway option). The expanding world trade outside the EU is a reason to stay in the EU as it has made a large number of trade deals with third countries that we would immediately be excluded from. The weight of the EU plays a role for us in international bilateral and multilateral trade negotiations. Finally, the TPD is very poor – I know that. But this is more a matter of Europe’s politicians, including and especially ours, following the public health lobby. It is not a reason to blow up the EU. My point is that UK govt bears a lot of the responsibility for the way it turned out. Even if we left, we’d more than likely be stuck with it and have no influence in changing it or protecting against adverse further changes. A full house of getting it wrong. The EU is soon to collapse, regardless of Britain’s membership status. One size has never fitted all, and never will. The benefit of the EU has run its course, and has begun its inevitable decline, as all empires are fated to do. The overeach beyond ecconomic dealings, and into the fabric of society, has been its undoing. So sure, lets continue trading, and leave it at that. To suggest that “we” now lead a charge to reform, is quite absurd. It has been tried, and failed. How often and for how long should the effort last, and then what? Yet another referendum, or full capitulation? Juncker is disposable, a fall guy. The EU will endure regardless. The problems will remain, and its figurehead will be replaced. Unless there is an “EXIT” vote, then the UK is in no position to require reform. The only way is out. Paul the last time Europe ” collapsed ” it took years of ” blood sweat and tears” to put things aright again. Europe did not collapse, it was devastated by war. Prior to the war, it was essentialy a corporate take-over that was allowed to happen, with very little resistance. But the British Empire fought back, and died in the process. To be replaced by the European Empire. The EU serves business, not the citizenry. Always has, and always will. Clives case would be stronger if he could outline how things could change.. In general I agree that common law and civil law traditions are in someways fundamentally incompatible – something has to ‘ give’ and that is not a minor concern. i.e. force the ECs elite into relinquishing power . In the whole of history no privileged group has ever given up without a fight. You are assuming that changing the EU is the most important thing. I’m saying that even if unchanged, it is vastly superior to the alternative scenario – which includes being bound by EU rules but going from having a lot of say to having no say. The EU doesn’t operate without the consent of the member states – either by unanimity or by qualified majority. We often favour qualified majority voting because it helps UK get its way. But UK is part of it and along with others like Germany, Netherlands etc control its destiny. We could get longer term reform because other countries have the same pressures we do, and the same reasons to change that we have. See brief thoughts on long term reform agenda. Clive basically agree with you. Peace be with you. Have a good break (and thanks for all the work you have done). The big problem, for the EU, is that the Euro is not built on rock, it is built on sand. There has been scant regard to underpinning, the whole edifice is supported, sky-hook style, by financial institutions. Several of the EU member states are on the rocks, and inexplicably, were heading that way, before they met the “strict” financial criteria necessary for them to join the Euro. On the plus side they were able to enjoy lots of consumer products from northern Europe, before the cash ran out. In all probability, some European states will require additional financial help, not of an inconsequential nature. This will stress the financial institutions greatly. Too big to fail? Or, the bigger they are the harder they fall? Unfortunately, if the UK votes for the “withdrawal method”, it will royally scuttle some European banks. Make no mistake it is immensely serious for the EU and financial institutions if the UK leaves the EU. There is absolutely no truth in the rumour that the EU has two parliaments, Strasbourg and Brussels, so that they can burn one and blame it on the communists. The EU attempted Anschluss with the Ukraine, a situation then developed not necessarily to the EUs advantage. Vladimir Putin, is not a grade F, EU type re-tread politician. The EU now want an army. To even mention it in passing, after the Ukraine debacle, is unfathomable. I am one hundred percent behind David Cameron. He did not want Jean-Claude Juncker as president. So, if Juncker resigns before the referendum, I will vote Remain, if Juncker stays in office, I will vote Leave. Juncker is the embodiment of all that is bad with the EU. Why would you pin UK’s and Europe’s future on the career choices of one man? Brexit will just increase turmoil in the EU and cause more damage to our neighbours and more self-harm to us. Juncker is used as a real world analogy. Democracy, the only way to remove Juncker is the In-Out referendum, although Juncker is a loose cannon, Juncker is used as an example to show the EU is not a Democracy. Having lived in the Union of Soviet Socialist Republics, I admired the people, but thought the appointed politicians were, um, err, appointed politicians. The people deserved better. Jean-Claude Juncker is an appointed politician; the people of Europe deserve better. The UK parliamentary system is the envy of the world, (sometimes). The EU neuters it. The Labour movement is built on the blood bone and sinew of the people that forged it, the workers. Labour has made parliament less elitist, (in the past). It has help make parliament what it is today, or was yesterday. The UK parliamentary system is the one that all other systems are gauged by. Democracy. A well run parliamentary system in the UK, can serve as a very necessary counterbalance, to the “experimental” political system, that is flapping around on the European quayside. Clive have a good holiday. I am about half way through it , its thought provoking. As for Brexit for what it is worth , I agree. BTW I think that Winston if alive would say that Britain ,and the English speaking people , have a ongoing ‘duty of care’ re Europe. And in particular there is absolutely no reason to think that brexit would make ” policy based evidence making less common”,at all. Let’s pose the counterfactual: Britain votes to stay in the EU and we see i) further alienation of the working class Britain ii) no impetus for reforming the EU’s migration crisis which is fuelling right-wing populism across the continent iii) the Eurozone catastrophe antagonising relations between north and south. I concur that the European Union is not “beyond reform” – it’s just that it’s always been in the direction of “ever closer union” which the nation states can no longer stomach. There is a crisis brewing – whether it breaks this Thursday or not is a detail of history. What concerns me is that the opportunists, hucksters and wannabes in the Berlaymont are not capable of reducing their powers or privileges. They worry me more than those chancers in the UK Leave and Remain camps. The question is whether Brexit will change these things you mention. I don’t think it will – it will add to the alienation and compound it with frustrated expectations. The culture of the EU is a problem – it needs a purposeful approach by governments to tackle it. Best wishes for the best outcome of your referendum, Britain, whatever it may be. It may be little comfort, but Canada will support you, regardless.